This past weekend was one of love, not just for your Valentines but for your gal pays aswell, Galentines Day, something I only found out about thanks to Parks and Recreation. A day to gather around your favourite ladies and the celebrate having them in your life. And what better way to celebrate than with sweet treats, desserts, bubbles and manicures. In the words of Leslie Knope - it’s the best day of the year and thanks to Brioche Pasquier I celebrated my first ever Galentines Day in style. If there’s one thing I know the French are good for, aside from their really good wines, is their even better treats and pastries. I remember the first time I bit into a real French croissant, I swear, nothing has ever come close to it’s buttery, flakey, goodness. 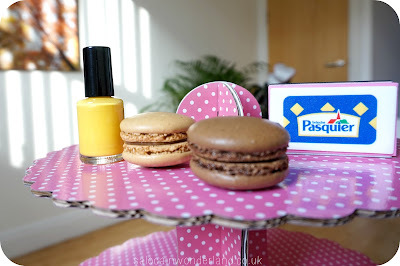 Trying to recreate that moment this side of the Channel has been pretty much impossible until Brioche Pasquier quite literally, showed up on my doorstep. A family run business founded in 1936, they’re famed for their brioches and have recently launched a decadent range of macarons and tarts. Be still my beating sweet tooth. Macarons, an indulgent French classic instantly raises the bar of any afternoon tea Galentines celebrations. With six new flavours to try; raspberry, coffee, chocolate, lemon, pistachio and vanilla you’ll be sure to find a favourite and paint your nails to match, because who doesn’t love nails that match their dessert? Clipping, filing, shaping, painting, chowing down on sweet treats and catching up over tea and fizz (in separate pots of course) I can’t think of a better way to spend an afternoon. 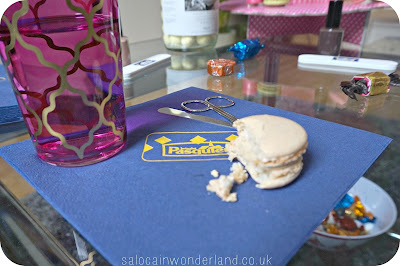 With the nails out of the way, the crumbs hoovered up and the kettle on again, it was decided that the raspberry, vanilla and chocolate macarons where the favourites. 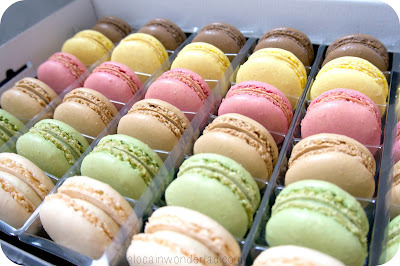 The macrons are flaky and crisp on the outside, fluffy and filled on the in, and oh so very sweet and french. But, just when you think you’ve had you cake and eaten it too, Brioche Pasquier turns up with a Tarte au Citron - crumbly, buttery pastry encases a very sweet citrus tart, perfectly paired with the last of the afternoon tea, It’s going to sound crazy but I am going to shout from the rooftops how happy I was this tare came pre-cut, it really is all about the little things folks! 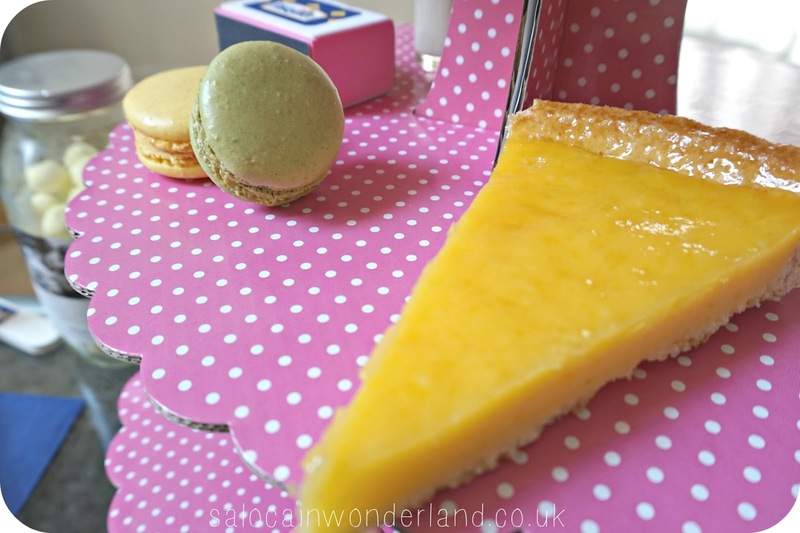 I’m a bugger for miss-cutting cakes and somehow ending up with the biggest slice…hehe. If you’re looking to treat a loved one, or just yourself, Brioche Pasquier pastries are sure to hit the spot, from traditional brioche, to tartelettes, both chocolate and citrus are almost amongst their exquisite offerings. I can't imagine having a cup of tea without a little cheeky something now and you can be sure, after celebrating my first Galentines day, I’ll be celebrating for many more to come! How did you celebrate Galentines day this year? 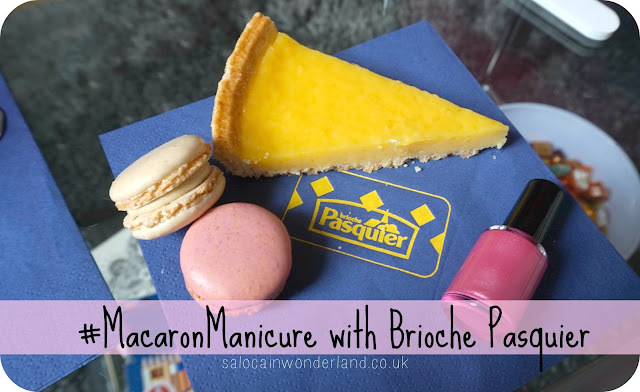 All food and manicure items were kindly sent to me on behalf of Brioche Pasquier for consideration. All thoughts and opinions are 110% my own :) For more information, see my disclaimer here. Hehe, feel cheeky reading this because I've seen the behind the scenes footage :D Looks like you're getting used to the new camera! I'm slowly getting there with the camera, I just need tons more practice but it's actually been fun to play around with all the settings and what not!